Show Harry Potter on your wall! 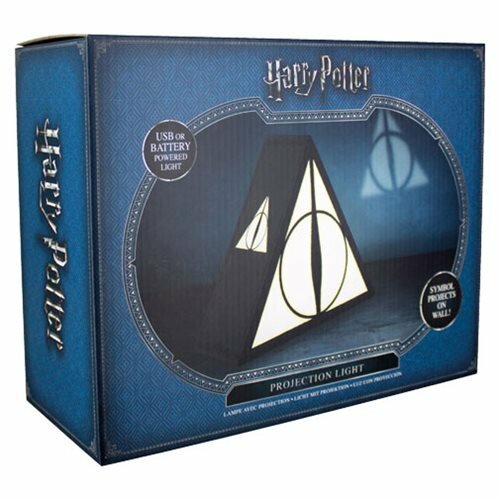 Project the Elder Wand, the Resurrection Stone, and the Cloak of Invisibility onto your wall with this Harry Potter Deathly Hallows Light. 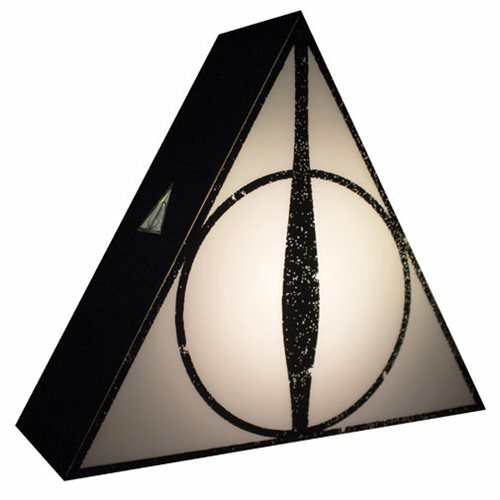 This light features the Deathly Hallows logo on a triangular light, with black casing around its edge. And, once switched on, the logo is projected onto nearby walls from both side panels. 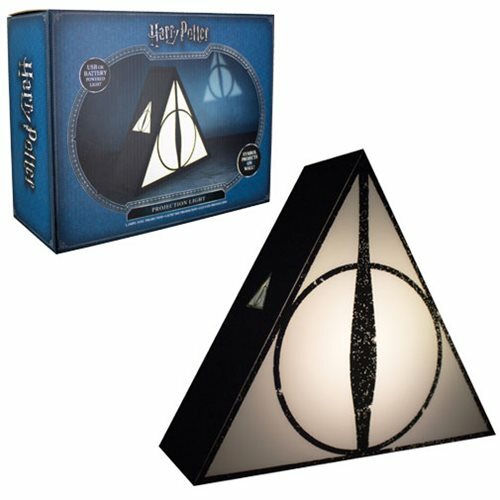 The Harry Potter Deathly Hallows Light measures about 8-inches tall. Requires 3x "AA" batteries, not included. Makes a wonderful gift for lovers of the Harry Potter films and books. Ages 8 and up.